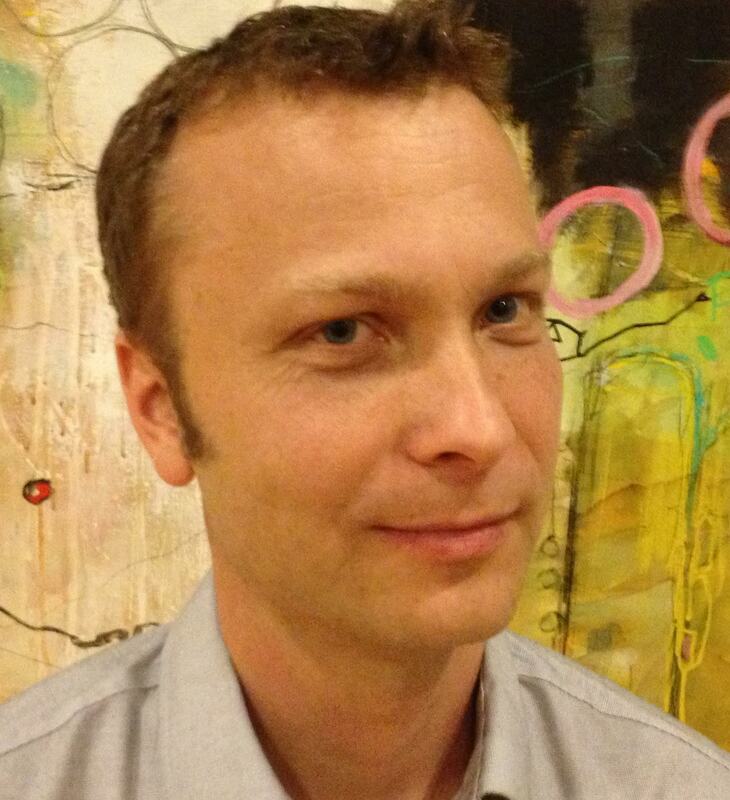 Dr. Rasmus Nielsen is a Professor of Computational Biology in the department of Integrative Biology at the University of California, Berkeley. He received his PhD in Integrative Biology from UC Berkeley and conducted postdoctoral research at Harvard University. He served on the faculty of Cornell University and the University of Copenhagen before coming to UC Berkeley. Rasmus has received many awards and honors during his career, including the AAAS Newcomb Cleveland Prize, an Ole Roemer Fellowship, A Danish ElitForsk Award, A Fulbright Fellowship, and a Sloan Research Fellowship. Rasmus is here with us today to tell us all about his journey through life and science. Rasmus spends his time away from science hiking, sailing, and going on trips with his two daughters. His research is in evolutionary genomics. Rasmus is uses a species’ genome or DNA sequences to try to learn about its evolution, including where it came from geographically and how they adapted to their environment. There’s no problem so big that it won’t solve itself if you just don’t do anything. When Rasmus was a kid, he wanted to be a zookeeper when he grew up. In Denmark, you didn’t even have to go to high school to be a zookeeper so he wanted to go straight into that vocational program but his parents wouldn’t let him. Rasmus changed his plans, thinking if he went into biology, he could eventually be a director of a zoo. Somewhere along the way his interest in zoos waned, and other aspects of biology caught his attention. In his is second year of graduate school at Oxford University, Rasmus was invited to give a talk at a meeting. During his presentation, one of the most senior people in the field stood up, pointed a finger at him, and told him in front of everyone that he was wrong and he didn’t understand a theory at all. This was devastating as a second year PhD student in the field. His favorite successes are not the grants or papers, but rather the moments when he gets a really good research result. In one of his PhD papers, Rasmus developed a new method for modeling the natural selection of DNA sequences using statistical methods. It became very popular and has helped his career, but he particularly loved that moment of realization when you have something important and novel to contribute that other people haven’t done or thought. Last year Rasmus went to a conference on the Galapagos Islands. In between conference sessions, he went snorkeling with sea iguanas and was surrounded by unbelievably tame sea lions. This is such a unique part of the world that was an important part of Charles Darwin’s inspirations. A lot of labs have continuously growing experiment alters where people leave offerings before starting an experiment in the hopes that it will turn out well. In his PhD lab, they had an enormous collection of weird plastic dolls and candles from all the students who had come before. Rasmus did theoretical work, so this was a bit of a mystery to him. Every person has so much they want to do that sometimes you have to let some of the problems go so you can focus on what really motivates you and drives you forward. Rasmus Nielsen’s research focuses on statistical and computational aspects of evolutionary theory and genetics. One of the central problems he has been interested in is the molecular basis of evolutionary adaptation. What happens at the molecular levels as one species is transformed into another over evolutionary time? To address this question he has developed a number of computational methods and applied them to large scale genomic data, such as genomic comparisons of humans and chimpanzees. Rasmus Nielsen has also worked on statistical methods in other aspects of population genetics, medical genetics, phylogenetics, molecular ecology, and molecular evolution. He has hitherto primarily been teaching courses in Statistical Genomics, Bioinformatics, and Evolution. His students work on both applied and theoretical problems in population genetics, statistical genetics and evolution.